Command Prompt is a command line interpreter application available in most Windows operating systems. It's used to execute entered commands. Most of those commands automate tasks via scripts and batch files, perform advanced administrative functions, and troubleshoot or solve certain kinds of Windows issues. 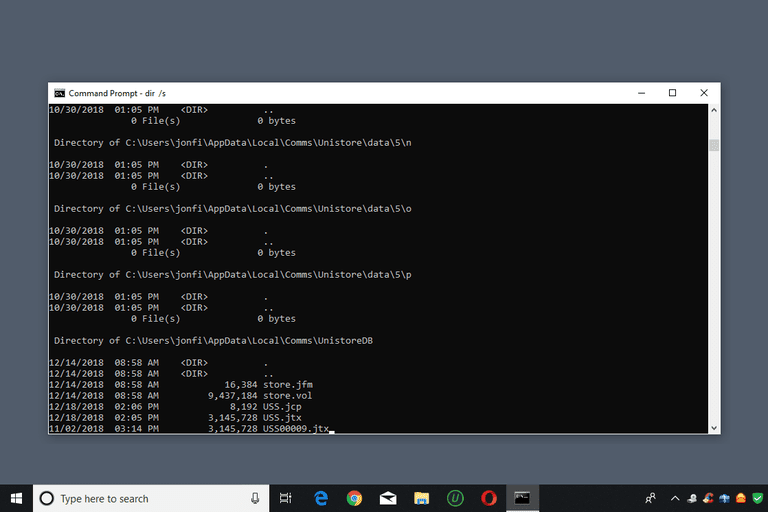 Command Prompt is officially called Windows Command Processor, but it is also sometimes referred to as ​the command shell or cmd prompt, or even by its filename, cmd.exe. Command Prompt is sometimes incorrectly referred to as "the DOS prompt" or as MS-DOS itself. Command Prompt is a Windows program that emulates many of the command line abilities available in MS-DOS, but it's not MS-DOS. Cmd is also an abbreviation for many other technology terms — like centralized message distribution, color monitor display, and common management database — but none of them have anything to do with Command Prompt. You open Command Prompt via the Command Prompt shortcut located in the Start menu or on the Apps screen, depending on your version of Windows. Another way to access Command Prompt is via the cmd Run command or at its original location at C:\Windows\system32\cmd.exe, but using the shortcut is faster for most people. Yet another method for opening Command Prompt in some versions of Windows is through the Power User Menu. However, you might see PowerShell there instead of Command Prompt depending on how your computer is set up; learn how to change that here. Many commands can only be executed if you are running the Command Prompt as an administrator. To use Command Prompt, you enter a valid Command Prompt command along with any optional parameters. Command Prompt then executes the command as entered and performs the task or function it's designed to perform in Windows. Commands must be entered into Command Prompt exactly. The wrong syntax or a misspelling could cause the command to fail or worse; it could execute the wrong command or the right command in the wrong way. A comfort level with reading command syntax is recommended. For example, executing the dir command will show a list of files and folders that exist at any specific location on the computer, but it doesn't actually do anything. However, change just a couple letters and it turns into the del command, which is how you delete files from Command Prompt! Syntax is so important that with some commands, especially the delete command, adding even a single space can mean deleting entirely different data. The proper way to execute that command so as to remove files from the music folder instead, is to remove the space so that the whole command is strung together correctly. Don't let this scare you away from using Command Prompt commands, but definitely let it make you cautious. Following those command lists will prove that there are lots and lots of commands you can use in Command Prompt, but not all of them are used as often as others. Here are some of the more commonly used Command Prompt commands that are utilized in a variety of circumstances: chkdsk, copy, ftp, del, format, ping, attrib, net, dir, help, and shutdown. Command Prompt is available on every Windows NT-based operating system which includes Windows 10, Windows 8, Windows 7, Windows Vista, Windows XP, and Windows 2000, as well as Windows Server 2012, 2008, and 2003. Windows PowerShell, an advanced command line interpreter available in recent Windows versions, supplements the command executing abilities available in Command Prompt. Windows PowerShell may eventually replace the Command Prompt in a future version of Windows. What are Command Prompt Codes? What Is a Command Line Interpreter?